As one of the most popular and widely consumed drinks, coffee has long been a staple of breakfast tables and cafes worldwide. But, more recently, research has begun to reveal the benefits of coffee that go beyond a pick-me-up and could have a genuine impact on our health. For a number of years, interest around the nutritional qualities of coffee focused on its caffeine content. However, attention is now turning to the 1000s of other compounds found in a cup of coffee, many of which are thought to have in vitro activity. For example, various compounds in coffee are believed to have antihypertensive, antimutagenic and antioxidant properties. Given the popularity of the drink around the world, teasing out the effects this multitude of compounds have inside the body is essential to informing the role of coffee-drinking in good health. Unroasted green coffee beans contain polyphenols – a group of compounds well-known for their antioxidant properties. However, during roasting some of these polyphenols are converted to other compounds during the Maillard reaction. This process, also known as non-enzymatic browning, is what gives coffee its distinctive taste and color. One by-product of this reaction is a group of compounds called melanoidins, which contain stable radicals and have been shown to have non-antioxidant biological activity in vitro. 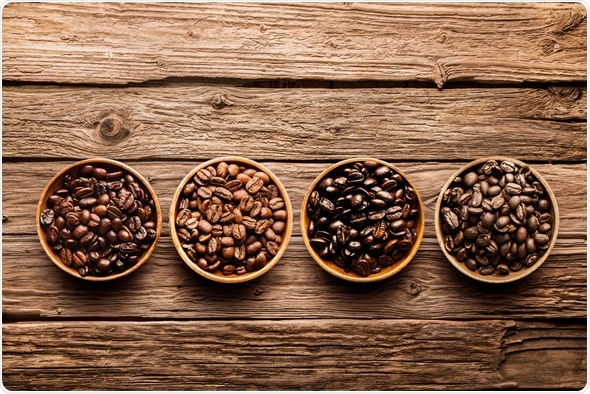 Roasting has been suggested to increase the antioxidant activity of coffee which, in turn, correlates with melanoidin content. However, whether melanoidin and stable radical formation contribute significantly to the antioxidant activity of coffee has been unclear. Therefore, a research team led by Gordon Troup from Monash University, Australia, conducted a study to explore how stable radical content changes according to roasting time in beans and how this related to the antioxidant properties of the final brew. To do this, the researchers used a technique known as electron paramagnetic resonance (EPR) spectroscopy, a form of magnetic resonance used to study chemical species with unpaired electrons, such as radicals. The researchers studied Arabica coffee beans that had been industrially roasted for durations of 2, 4, 6, 8 and 12 minutes. Using EPR spectroscopy to analyze ground and intact beans, they were able to identify three separate radical species. They observed that their characteristics did indeed change according to roasting time, becoming more intense the longer they were roasted, demonstrating the formation of stable radicals. 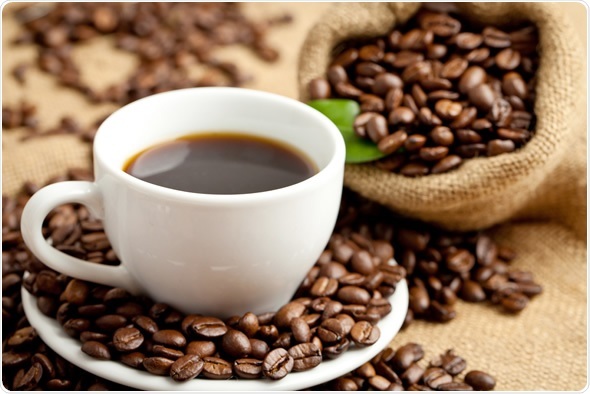 However, by examining brews made using the coffee beans, the researchers were able to show that the majority of antioxidant capacity comes from polyphenols themselves and not from melanoidins. This is because the highest anti-radical activity came from the low molecular weight fraction of the brew containing the polyphenols. By contrast, when the researchers extracted the polyphenols, the overall antioxidant activity was comparable to that of the high molecular weight fraction containing the melanoidins and the roasting-induced radicals. Together, these results suggest that despite melanoidins being shown to have measurable antioxidant activity, it is actually polyphenols that contribute the majority of antioxidant activity in a drink of coffee. The researchers therefore conclude that stable radicals in roasted coffee beans are not related to the anti-radical activity in drinks made from those beans. However, they say this does not mean that they do not have other roles in vivo, which could include involvement in non-antioxidant mechanisms or contributing to the flavor profile of the coffee as it ages. Troup et al, suggest that future studies using EPR spectroscopy could be used to further understand the characteristics of radicals during roasting and identify where each species originates from in an intact coffee bean. 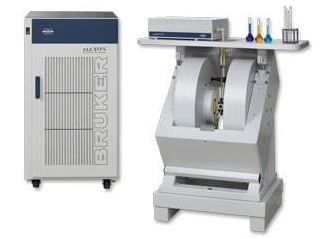 In this study, Troup et al used a Bruker E500 X-band instrument. This series includes an updated signal processing unit and SuperX microwave units – a high-power, ultra-low-noise Dual Gunn source and super-high-Q cavity – for unparalled sensitivity. Furthermore, the system can be tailored with a complete range of compatible accessories, including sample temperature control solutions, and magnetic field gradient coils and resonators for X-band imaging. Goodman, B et al. Quality aspects of coffees and teas: Application of electron paramagnetic resonance (EPR) spectroscopy to the elucidation of free radical and other processes. Agricultural Sciences 2013; 4: 443-442. Moreira, A et al. Coffee melanoidins: structures, mechanisms of formation and potential health impacts. Food & Function 2012; 3: 903-915. Rufián-Henares, J & Morales, F. Functional properties of melanoidins: In vitro antioxidant, antimicrobial and antihypertensive activities. Food Research International 2007; 40: 995-1002. Troup, G et al. Stable Radical Content and Anti-Radical Activity of Roasted Arabica Coffee: From In-Tact Bean to Coffee Brew. PLoS One 2015; 10: e0122834. Vitaglione, P et al. Coffee, colon function and colorectal cancer. Food & Function 2012; 3: 916-922.